stargate | Digital Marketing, Poetry, Reviews, Philosophy, Sports & Tales by Joe Wooldridge. 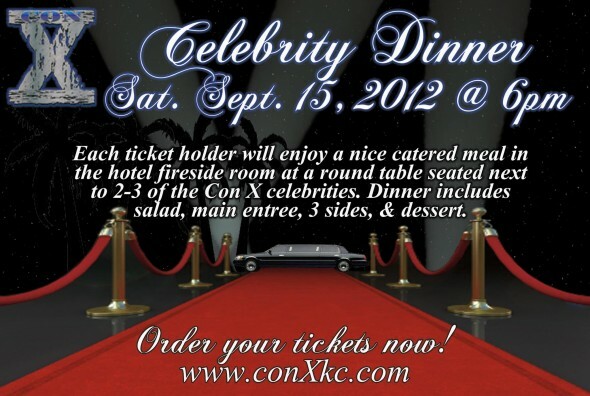 Con X KC convention Sept 14-16! Here it comes!! Got your tickets?? A very fun weekend is almost upon us! Con X KC convention is finally near . . . Sept 14-16th at the Ramada Conference Center – and you can get discount tickets through MyJoeCard.com or visit www.conxkc.com/myjoecard (We are an Official Con X Sponsor). – Children 12 & under FREE!! – Military 50% Discount! (*Valid by showing Military ID at the box office). It is about time Kansas City had a Movie Convention. Science Fiction, Horror and Pop Culture are alive and well in Kansas City! They have a VERY awesome facebook page, check it out! So save the weekend of Sept 14th-16th, 2012. Meet Star Trek, Stargate and other Movie Stars! Autographs? Photo opportunities? Yes! They will have all of that there. The shindig is at the Ramada Convention Center (see map) in Kansas City, MO. They also have a lot of cool ways to interact with the featured guests, parties, dinners, meet & greets – and you might still be able to get a VIP pass and/or have your business be a sponsor for Con X KC (as available – limited number of spots). *You must print your PayPal receipt and present it at the ticket booth for admission! 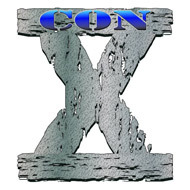 **The Con X Day Pass is good for one day of admission to the convention only (Friday, Saturday, or Sunday). Tickets to special events during Con X Weekend are separate. 80’s movie fans will delight in meeting “Back to the Future” and “Top Gun” actor James Tolkan and Police Academy’s Leslie Easterbrook. Kansas City native and dancer Sandahl Bergman (“Conan,” “All That Jazz”) also makes a return to her hometown. If movies like “Pet Sematary,” “Shawshank Redemption,” “Halloween,” “Steel Magnolias” and “Sin City” had you lining up at the theatre box office, you won’t want to miss Con X full line up of stars (complete list on their website). Fans of all genres will get a complete “Celebrity” experience with a weekend full of options: a chance to meet the celebrities, get autographs and pictures and a lucky few will even get to know their favorite celebrity one on one at an intimate dinner in the hotel’s Fireside Room. Cocktail party and concerts benefiting Wounded Warrior Project …”Taking of Savannah” red carpet premiere … a film festival … shopping in the dealer room … Q&A’s with the celebs … these are just a few of the things that will make this a weekend convention goers won’t soon forget (full list of events on their website). Tickets for the weekend convention are available online now with an early bird discount through June 30 and those showing a military ID at the door will get 50% off. A limited amount of VIP Passes and Celebrity Dinner tickets are available online while supplies last. Vendors spots, sponsorship packages and discount rooms at the Ramada Conference Center are still available. More information can be found on the Con X website. Check the site and their Facebook page for updates and a complete list of celebrity guests, events and vendors. For interviews with convention organizers’ Burnt Water Productions, celebrities attending the convention or to apply to cover the event, contact publicist Marla Stoker at 314.973.5525 or marla@marqueemediaandmarketing.com.